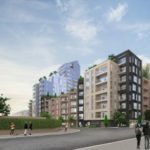 A multimillion-pound build-to-rent scheme is being planned for one of the biggest brownfield sites in Hove. The developer Moda Living set out its vision for the Sackville trading estate and the neighbouring old coal yard in a presentation to neighbours at the weekend. The company is hoping to build hundreds of homes with a continental-style concierge service and car club membership as well as fitness facilities such as gyms and swimming pools. Tenancies would be for a minimum of three years and the mix looks likely to include dozens of people who are currently on the council’s housing waiting list. The company was formed four years ago from a merger of two family businesses, the Caddick Group PLC and the Brooks family’s Generate Land Ltd. 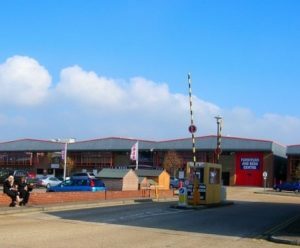 The business has funding of £1.3 billion, including the backing of private equity firm Apache Capital Partners, and finalised the purchase of the Sackville Road site just over a month ago. Moda is behind other build-to-rent projects in Birmingham, Edinburgh, Glasgow, Leeds, Liverpool and Manchester, with 6,000 apartments in the pipeline. 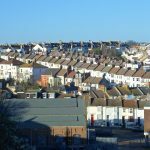 Tomorrow (Tuesday 10 July) Moda has a meeting with the district valuer to discuss what proportion of tenants will be entitled to “affordable housing” – or discounted rents – in Hove. The scheme would generate 20 to 25 full-time jobs on site after completion, Mr Blakey said, and they would include people working in the gym, pool, car clubs, etc. 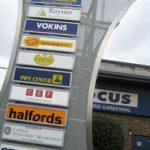 Moda’s plans have emerged within weeks of members of Brighton and Hove City Council agreeing a build-to-rent scheme with Legal and General. 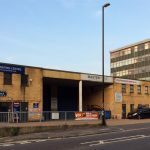 About 200 homes are planned on the site of the Longley industrial estate, in New England Street, Brighton. According to the company’s most recent accounts, Moda had an annual turnover of £21.9 million in the year to the end of last August, down from £27.4 million in 2016. It made an operating loss of £160,000 compared with a profit of £11.3 million a year earlier – and a pre-tax loss of £284,000 compared with, again, a pre-tax profit of £11.3 million. Elsewhere, the company recently agreed a partnership with Uber to incentivise Moda Living residents to give up their car park spaces in return for free private hire journeys. Moda is aiming to submit a planning application for the nine-acre Sackville Road and coal yard site in about October and in the meantime is embarking on a pre-application consultation exercise, including with neighbours. By all means give up car use for taxi use but NOT if it is just Uber – even if fior free trips. Uber are not compelled to use CCTV in cabs, or to undergo the training & CRB checks that drivers with normal taxi firms must. Add the Moda operating loss & the Moda/Uber partnership looks shaky. I would like to see another Company like Legal and General or them buy the whole of this site and Matsims and join the 2 up with pedestrian access and do away with the Fontill Rd Bridge and build one huge complex. What I meant was the Tunnel part the bridge would for obvious reasons need to be kept. The site is owned by Coal Pensions and I would be surprised if they were to sell it on. Well, I think it looks promising in principle, but so long as there really are homes that people who grew up here can afford. If they’re just going to market them to people from out of town who then become commuters (and I know they would be well situated for commuters), that’s not really going to be much good. Let’s face it, no one wants their kids having to move to Lancing or Newhaven! So only a few years back, this site was granted planning permission for circa 150 homes, and a Waitrose (in all but name). Now nearly 1,000 homes … ? Bigger than toads valley? And no commitment on affordable housing? Easy = 40% in line with policy. Or they paid too much. Oops. Make that their mistake. They’ve got £1.3bn of funding … oh and just omit the swimming pool and gym, that will help the viability. In principle build for rent that enhances the poor rental offer locally = a good thing. But nearly 1000 homes with no commitment to meet local housing is just pathetic. IMHO.